Dubai, UAE, February 03, 2018: Jewellery Superbrand Joyalukkas continues to capture hearts all over the globe with a million world-class designs and award-winning service. For the month of February, the world’s favourite jeweller shines once again with a glittering new collection of love-inspired diamond, pearl and 18K gold jewellery in time for Valentine’s Day. Till February 17, 2018, shoppers can fall in love with a gorgeous selection of necklaces, earrings, bangles and rings with unique heart designs in the limited edition Be Mine Collection. 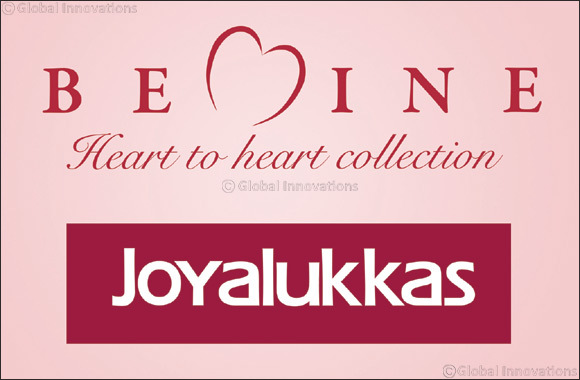 Along with the launch of the limited edition Be Mine Collection, shoppers can also enjoy special cashback offers and discounts across Joyalukkas over 140 showrooms in 11 countries.